The Philadelphia Phillies acquired All-Star catcher J.T. Realmuto from the Miami Marlins on Thursday afternoon. In exchange, the Phils sent top pitching prospect Sixto Sanchez, catcher Jorge Alfaro, left-handed prospect Will Stewart and an undisclosed sum of international bonus money to the Marlins. 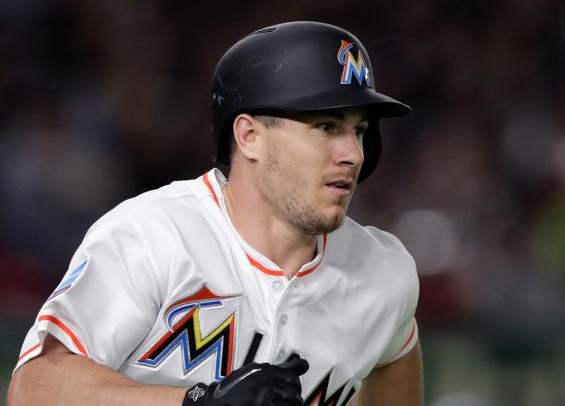 Realmuto, 27, remains under team control for two more seasons and is coming off a spectacular 2018 where he posted a career-high 111 OPS+ to go along with a .277 average and 17 home runs. He also is a fantastic defender and regarded by many as the best overall catcher in baseball. The price was steep for the Phillies. Sanchez has an electric arm and has drawn comparisons to Hall of Famer Pedro Martinez. Even so, he's never pitched above Single-A and dealt with some shoulder and elbow issues last year. Baseball America recognized him as the 13th best prospect in baseball entering 2019. Despite Sanchez's upside, the Phillies appear to be in "win now" mode and the addition of Realmuto certainly improves their odds as a contender in the National League. Sanchez, best case scenario, wouldn't have made an impact at the big league level until late 2020. The addition of Realmuto also potentially signifies to free agents Bryce Harper and Manny Machado that Philadelphia is a destination club, a team on the rise that's ready to win now. At a minimum, Realmuto is a significant upgrade over Alfaro behind the plate and should put up even more impressive numbers as he'll now be hitting a more hitter-friendly park than in Miami. This is the type of deal where it's tough to definitively say one side benefited more than another. Short term though, this move helps the Phillies far more than it helps the Marlins.